Three million MINIs - Oxford plant hits major manufacturing milestone. Munich/Oxford, December 2, 2016. Plant Oxford today celebrates the three millionth MINI to roll off the assembly line since production began back in 2001. Best Global Brands: No top-100 premium automotive brand makes bigger gains than MINI. Brand value rises 18 per cent, climbs ten places in Interbrand ranking. Munich, Germany, October 10, 2016. An emotional, authentic brand, with attractive products and distinctive brand communications: The systematic realignment of the MINI brand is proving a success. MINI CELEBRATES 15 YEARS OF PREMIUM DRIVING FUN - MADE IN OXFORD. Munich, Germany, April 26, 2016. Today the employees of the British MINI plant in Oxford are looking back to the 26th of April 2001. Over 50 years of fun and motoring have added up to hundreds of automotive innovations, thousands of checkered flags, millions of MINIs on the road, legions of devoted fans and one International Car of the Century award. Here’s how it all happened. 1959-2009: Fifty Years of MINI. Woodcliff Lake, NJ, September 15, 2009. Economical small cars have a great future. Precisely this was the premise applied from the start in developing the classic Mini, and precisely this premise applies just as much today as it did 50 years ago. EXCLUSIVE CHARACTERS: MINI 50 MAYFAIR AND MINI 50 CAMDEN. Woodcliff Lake, NJ, September 15, 2009. 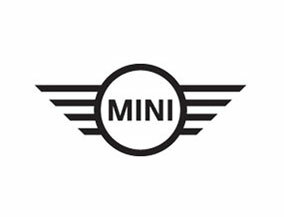 MINI is celebrating a great birthday and the fans of the brand are now able to enjoy the ongoing driving pleasure MINI offers on the road in the MINI 50 Mayfair and the MINI 50 Camden. MINI Plant Oxford - A century of car-making.